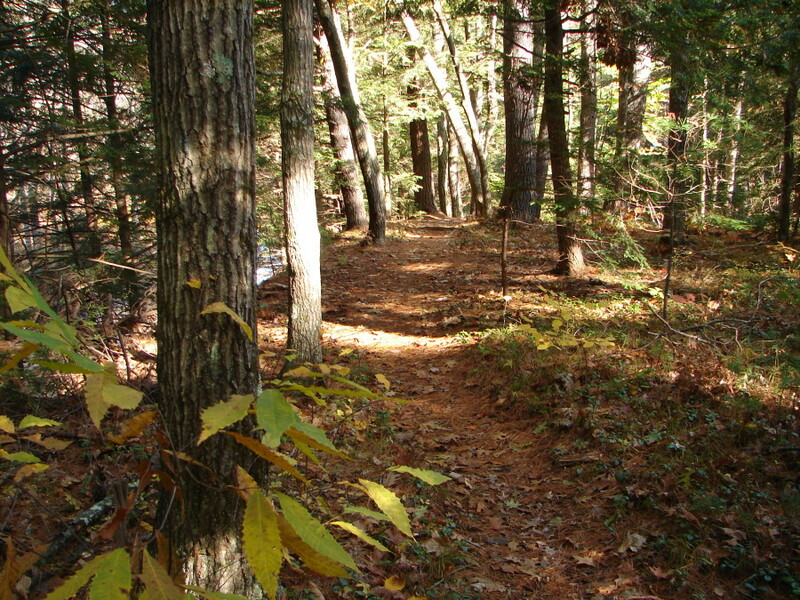 The pictures on this website come from a library of hundreds of photographs I have taken of various paths throughout Central Massachusetts. As I survey all of them it occurs to me that the poet Robert Frost does not get it quite right in his beloved poem “The Road Not Taken.” The road does not diverge only once. Actually the journey of life is a constant series of points where paths separate. Every fifty or so feet the path splits. The only way to travel through life is to constantly make the choice of which path to continue. With each step roads are taken and not taken and lives are lived but are never quite the same. Life often begins on a highway in the company of others. Then if a person is even mildly adventurous he or she diverts to a country road which provides experiences not available on highways. Then after a while, if one is more determined, one heads off road seeking paths and trails in the forest. It is often at this point that others start asking their piercing questions. “Are you ok?” “Is something wrong?” “Are you ill?” Or they announce their criticisms of you for being “too sensitive,” or “a daydreamer” or “impractical.” It is all just the static of their chatter which translates to “You are somewhere people think you should not be.” Sometimes others have trouble getting it that it is, after all, our path. With each step a person takes the path lays greater claim to him or her. We are drawn on not only by the external path but by the inner subtle voice of the Soul which ever so quietly and gently urges us always deeper and further onward. It calls us deeper into the path we are born to embody. So in some very real ways we are not only choosing the path but are also responding to the inner knowing, sensing and intuiting that comprises the ancient wisdom that is at our core. The Soul urges us to stay true to our particular path, make choices and keep listening within.